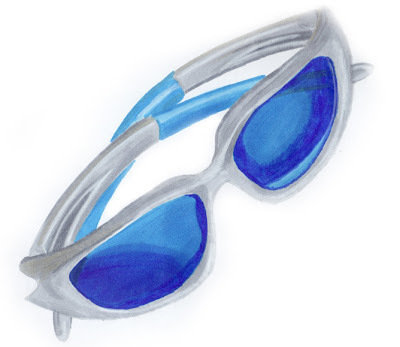 I've tried to make a full marker render of my sunglasses. I got a Copic marker set with allot of extra colors. I also used a white pencil to give the white or light parts more accent. I started out with cool gray 1 to draw the general shape and later colored it all in from light to dark.